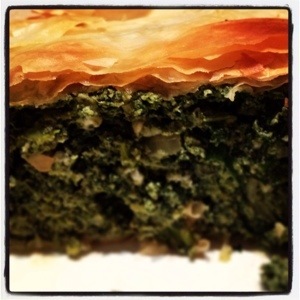 I have always loved the traditional Spanakopita, crisp buttery filo pastry bursting with salty, garlicky spinach made extra creamy by the feta and favoured with good handfuls of fresh herbs. 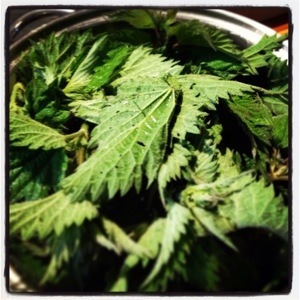 More recently I have developed a taste for nettles….not straight from the plant, that way I would lose my taste(buds) completely! I have experimented with nettle gnocchi which were delicious and with soup, sometimes paired with wild garlic, other times adding a kick to a comforting leek and potato base. I have been meaning to try and replace the spinach in Spanakopita for a while and after all the unseasonal and unfriendly rain we have been having I am fighting a losing battle with nettles in the flower beds. So this evening I filled a large carrier bag and having rinsed them well, rescuing a few garden spiders on the way, began. 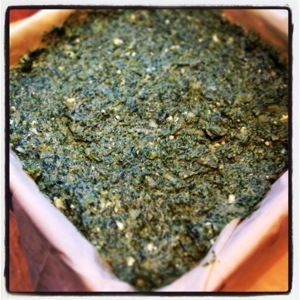 Wilt the nettles in a large pan, covered with a lid for 4 – 5 minutes, stirring a couple of times. Drain into a colander, drain and leave to cool before squeezing out the excess moisture. Finely slice the onion and soften over a low heat in a knob of butter until translucent and then stir in the garlic and cook for another couple of minutes. 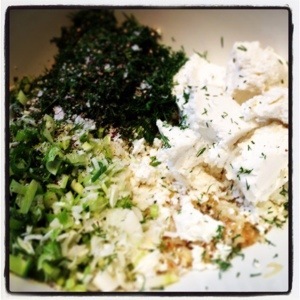 In a large bowl mix the crumbled feta, ricotta, chopped herbs, spring onion and cooked onion. 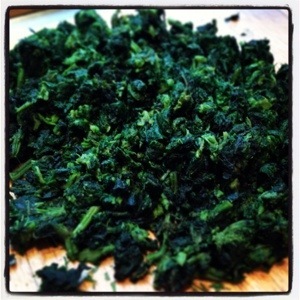 Having squeezed out the nettles, roughly chop them and add to the bowl, season well and add the nutmeg and stir well. Lightly beat the eggs and then add them to the bowl and mix well. Set aside. Take an ovenproof dish and brush with olive oil. 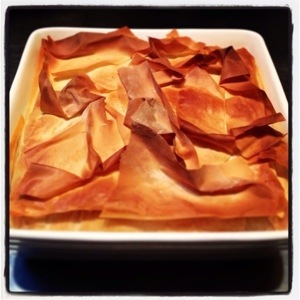 Lay sheets of filo into the dish one at at time, brushing with olive oil between each layer. It doesn’t matter if the filo hangs over the sides. 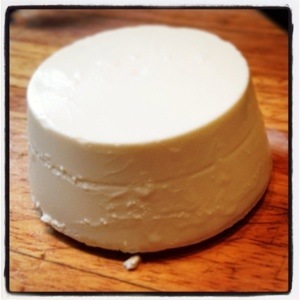 Keep layering until there are 5 layers in the base. Fill with the nettle mixture and smooth down. 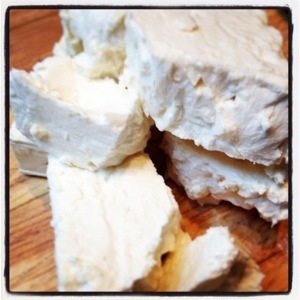 Fold the overhanging filo over the top and then brush with oil. Lay a couple more layers over the top smoothly before finishing with a crumpled layer. Bake in the oven for 25-35 minutes until golden and crisp. Leave for a while to cool slightly, serve warm.